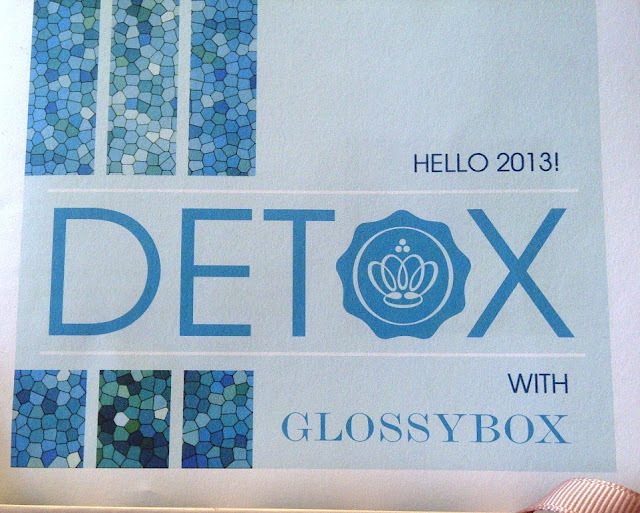 My GlossyBox was delivered sometime yesterday but as I was out all day I have just opened the box and as January is the traditional month for Detox, yes you guessed it the theme is DETOX. Billed as the Detox box, it is designed to provide you with all the necessary tools to hide the excesses of the holiday season and the Sleepless New Year's night. The Detox box will help you look and feel your best for a successful start into the New Year. First up a rather sweet GlossyBox sleep mask, this is a bonus product but I have many a need for this! Claims - A translucent powder with a 100% natural mineral formula. Use on its own to create a dewy finish, under foundation to diminsh fine lines and blemishes, over foundation for an airbrushed finished that keeps your base in place all day. Can also be used as a highlighter on cheeks and brow bones. I have been using Clinique's Gentle Light Powder Glow (sadly discontinued) lots recently as I love the flawless finish and staying power it gives me, this sounds very similar so I am looking forward to seeing how this compares. Description - The delicate scent of mimosa and extracts of organic green tea and aloe leaf create a soothing body lotion to give smooth, hydrated skin. This smells really nice. The scent is similar to cucumber, very fresh. I like the fact that it is paraben free. I will be using this sample. Claims - This poweful dual-action microdermabrasion delivers instant radiant skin, refining the skin's texture, reducing the appearance of pores and fine lines. This instant pick-me-up with papaya enzymes and Shea butter provides an immediate healthy 'new skin' effect. Use 2-3 times a week if you have oily or congested skin. Once a week for acneic, dry or mature skin. After the huge success of Dermalogica Daily Microfoliant that was in a previous box and which I now love, I am very much looking forward to trying this out and once again making a comparison..
Great tip on the bottle - If exfoliating regularly, use sunscreen to help protect your skin. Claims - Immediate hydration that firms and awakens the delicate eye area. 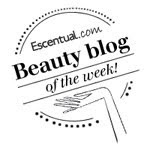 Quite like the idea of firming and awakening my eye area, will let you know how I find this product! Claims - Reveal smoother, glowing, more youthful skin with our 30 day Thermal Transformation Mask. Now this is a disappointment..I love the idea of the claims and the product but sadly you don't get a 30 day supply :-( The sachet is just one use but it does promise that you can see instant results of skin looking brighter & tauter, noticeably reducing 'crepey' skin after the first use. I am going to give this a whirl on Friday, watch out for the Sachet Review on Sunday to find out what I think of it. No full size product, no make up, no perfume at first glance I was a little underwhelmed...however when I actually took a proper look at the contents and read what they were for, I realised that actually in terms of samples and mix of products this was an excellent box (just a shame that there was not one full size product though!). It is not all that often that I will keep and actually try all of the products but on this occasion, I most definitely will. What do you think? Was this a good box? What did you receive in your box? I'm not too impressed if I'm honest, I would probably use the Murad and Eco-BOUTIQUE products at a push. It's a shame to see no full sized products however I do like the eye mask. The most thing I liked was the mask in your glossybox. As I realized here in Brazil Glossy has tne same problems with samples. But I enjoy to receive the boxes at home.